Crib Creative is a marketing and media company servicing real estate professionals, commercial divisions, builders and architects as well as hotel groups and the hospitality industry, providing professional photography and HD video productions throughout the Perth Metro area and Western Australia. 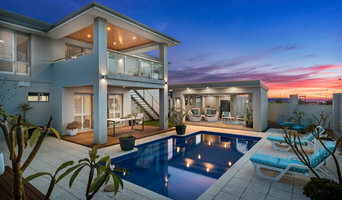 Real Property Photography Perth North is part of a network of professional property photographers across Australia who offer a range of exceptional property marketing services ensuring campaign success. Photography Services for a broad range of Residential and Commercial Real Estate Agencies. This service is also suited for Architects, Private Sellers, Interior Designers, as well as various providers of short-term accommodation, such as hotels and bed & breakfasts. Dion Photography specialises in Architectural, Interior Design, Hospitality, Retail, and Construction Photography. Understanding your industry and your work is most important so we focus 100% on these areas only. Our work has been featured in online publications such as Contemporist, Archilovers, and Home Adore. Offline we have had a number of features (and Covers) in both The West Australian and Sunday Times home sections, as well as featuring globally in AFAR magazine. We understand how important it is to show your work in its best light, so we listen to your needs, share ideas, and then collaborate to provide you with the unique images you are looking for. Our goal is to build strong relationships with our clients. We want to fully understand your business so that we can provide images that truly represent your company culture, and in the end provide you with the best opportunity to grow your business. Contact us for further information and to discuss how we can work together. Looking for a passionate property photographer to bring your 'houzz' to life? 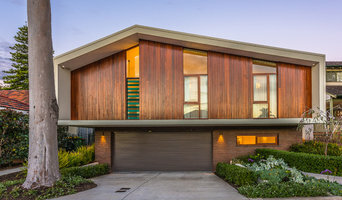 I have had the pleasure of shooting a large range of properties for Real Estate Agents, Building & Construction companies, Home styling and HIA Awards entrants. I am always happy to spend time on finishing touches and understanding your needs. This helps me deliver beautifully composed, crisp and professional images every time. 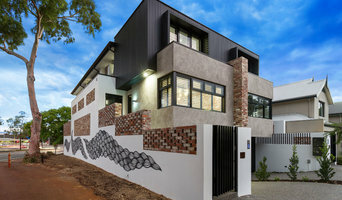 Swanbourne based business Code Lime Photography has had the privilege of shooting some of the best real estate and architecture in Perth. As photographer for several prominent western suburb real estate agents, builders and architecture firms including: ◊ Space Real Estate ◊ Renouf Real Estate ◊ Acton Cottesloe & Dalkeith Real Estate ◊ Shellabears Real Estate ◊ House Real Estate ◊ Mack Hall Real Estate ◊ William Porteous International Property ◊ Optimus Real Estate ◊ NS Residential Real Estate ◊ Craig Steere Architects ◊ Rodrigues Bodycoat Architects ◊ Kingsley Pearce Architects ◊ 101 Residential Builders ◊ Maek Pty Ltd Builders ◊ IQ Cabinetmakers ◊ Boston House commercial fitouts Serena Pearce has photographed everything from riverside mansions, Cottesloe apartments and historic Fremantle terraces to lifestyle shots of Claremont Quarter and surrounding areas, incorporating that artistic flair and attention to detail that sets her property images apart from the rest - a crucial element in gaining that market share ! Code Lime Photography embraces the beauty of the built environment. Whether it be capturing a residential or commercial exterior, or the interior aspects of design, from the largest to the smallest element, Code Lime ensures detail and perfection. We pride ourselves on our service and professionalism: ◊ a creative photographic eye to reflect your property ◊ a photographer that is professional, reliable, intelligent and friendly with a passion for architecture, style & detail ◊ your portfolio of images delivered via Dropbox the next day ◊ a local photographer who is available at short notice for twilight and weekend photoshoots at no additional cost Serena also lectures at the University of Western Australia Extension programme with an 8 hour course entitled “Building Images: Photographing Architecture Inside and Out”. Interior, Architectural & Portrait Photographer based in East Fremantle. I am a professional photographer based in Perth, Western Australia who specialises in architectural, portrait and landscape photography. My work is defined by a unique blend of light contrasts, sharp focus, varying angles and creative compositions. I love an image full of graphic elements… think colour, line, shape, texture, space and form. Perth Baby Photography Kelly Romano Photography is a boutique portrait photographer specialising in custom fine art photography within Perth, Western Australia. We have learned a few things over the 30 years of helping builders and architects and tradesmen showcase their projects and know we can help you show the world what you have achieved. 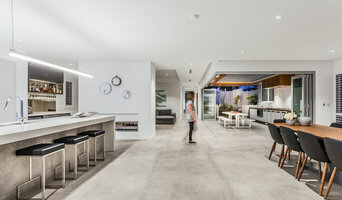 Greg Hocking is a specialist Architectural and Interior Design Photographer servicing Architects, Builders, Property Development, Interior Design, Hospitality and High End Real Estate. Before you call any potential photographers, make sure they have good references. Friends who've sold or rented homes before are great resources, as are local real estate agents. Look through each Western Australia photographer's online portfolio to make sure what you're looking for is being offered. Once you've done that, it's a good idea to walk around your home and write down exactly how many and what types of shots you'll need. Include any specifications you might have, such as angles, things to consider about your home’s Perth, Western Australia site, the time of day you think will be best and aspects of your home you want to highlight. Find a home photographer on Houzz. Narrow your search in the Professionals section of the website to Perth, Western Australia photographers. 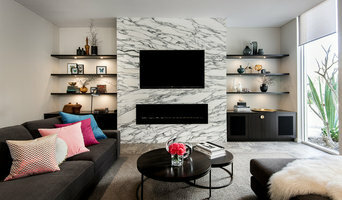 You can also look through Perth, Western Australia photos by style to find a room you like, then contact the professional who photographed it.